CertificationsThe high degree of professionalism and reliability they have shown has enabled the company to gain the most important recognitions from quality label certification bodies. HistoryIn 1953, thanks to the initiative of resourceful and courageous entrepreneurs, a base company was founded in Perugia, which would soon become one of the first Italian players in the prefabrication sector. MissionThe company strives through internationalisation to differentiate and enhance its human resources and skills, offering contemporary and efficient solutions to customer needs. Edilbeton GFRCEdil Beton Perugia is among the first manufacturers of GFRC (Glass Fiber Reinforced Concrete) in Europe. This material is made of reinforced concrete with AR glass fibres, especially suitable for the construction of lightweight architectural façades. Industrialised buildingGenerale Prefabbricati is a pioneer in concrete prefabrication and Industrialized Building. InfrastructureGenerale Prefabbricati, possessing SOA OG3 cat VIII among others, is a leader in the construction of large infrastructure projects: bridges, road and rail viaducts, motorways, artificial tunnels, and special port facilities. Spiroll extruded hollow core floor slabsSpiroll extruded hollow core floor slabs were introduced in Italy by Generale Prefabbricati in the mid-1970's. Since then, the Company has consolidated its position as a market leader, in terms of their presence, applied technologies and quality standards. Spiroll extruded hollow core floor slabs were introduced in Italy by Generale Prefabbricati in the mid-1970’s. Since then, the Company has consolidated its position as a market leader, in terms of their presence, applied technologies and quality standards. Generale Prefabbricati is specialised in the research, design and marketing of prefabricated hollow core floor slabs.  From its 3 manufacturing plants (north, central, southern Italy), it targets markets throughout entire domestic area and neighbouring countries, as well as international markets through special dedicated factories. Harmonic steel in stabilised strands fptk = 1860 N / sq mm., fp(1)k = 1670 N / sq mm. Please fill out the following form to request the Complete Spiroll Technical Log. I authorize the processing of my personal data according to the privacy law. Read full policy. I authorize the treatment of my personal data for the receipt of newsletters by Generale Prefabbricati S.p.A. Read the full information.